only to the territory of Latvia). The delivery bases for a.m. oil product may be changed before the tender date. The tender is subject to deposit. BNK (UK) Ltd, United Kingdom.  Diesel fuel DT-L-K5, grade C/ DT-Z-K5, grade F - in conformity with STB 16582012. The partial purchase of the tender volumes of the Goods is possible. (inclusive) of the month of the final price formation. confirmed volume of Goods is deemed accepted. additional agreement to the contract stipulating the Goods delivery. preliminary EUR / USD (EURO / US Dollar) exchange rate is fixed. (two) banking days from the date of invoicing by the Seller. corresponding accounts of European banks only. The price for the oil product is calculated according to a formula. quotations of Platts’s agency in its publication “Platt’s European Marketscan”. date of confirmation the Goods for realization. The final price formula is defined as per Buyer’s choice. price formation when ECB exchange rates are published. Seller shall apply the second formula variant of the final price calculation. quotation days of June 2015 (estimated period of shipment ex-refinery June-July 2015). quotation days of November 2015 (estimated period of shipment ex-refinery NovemberDecember 2015). deposit return is the date of money funds debiting from the Seller’s account. delivery of the full volume of the agreed Goods lot. without bearing any responsibility to the Buyer for possible losses. volume of the Goods upon the Seller’s and the Buyer’s agreement. as well as unplanned shutdown and servicing of OJSC Naftan facilities. opportunity of the submitted bid for the stipulated Goods lot. Tender time and date: April 15, 2015, 16:00 (local time). the oil product). DO NOT OPEN”. (local time) on April 15, 2015.
advised later) from 12:00 till 16:00 (local time) on April 15, 2015.
envelope. The tender organizer bears no responsibility for the faulty operation of fax or email connection. Belarus), excluding the day of tender bids opening, i.e. up to April 23, 2015.
the largest volume to be purchased. shares, upon such Applicants agreement. 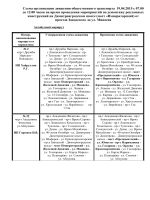 Tendering process: in accordance with local time of the Republic of Belarus. clarify the terms of submitted tender bids. 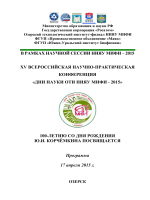 address: 4a-305 Leshchinsky street, Minsk, Republic of Belarus, 220140). Oil Company earlier and taken for consideration. 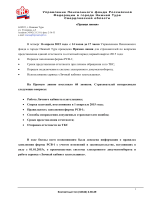 agreement with CJSC Belarusian Oil Company. The terms of the tender provide for bidding deposit. shall be summed up per each Goods type. of the respective written notice from the applicant. contract is concluded and contract security is remitted to the Seller. The applicant has no right to purchase larger quantity than the remitted deposit allows. defined by the Tender participation agreement. Company not later than April 14, 2015. (SWIFT) confirming the actual payment of the deposit. Currency of deposit payment is Euro. tender without stating the reason for such decline. specified on basis DAP border of the Republic of Belarus, will be adjusted to basis FCA st.
- The country of Goods destination. to be purchased at a definite delivery basis. for consideration when reviewing the Tender results. a decision on Tender results. has made a decision on Tender results. the principle of the rights equality in respect of all Tender applicants. case the price of his tender bid shall be increased by 0.01 US dollar / ton. Goods shipment when the final selling price is defined shall respectively apply. of Belarus is made by the Buyer at his own expense. Buyer when providing the shipping orders. which such term was breached. 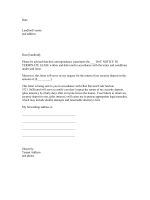 the copies of the documents to confirm the actual reason for the invoiced sum. 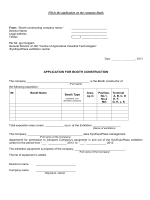 tender the applicants should follow the requirements and conditions set in the present notice. on April 15, 2015 by submitting a written notice of refusal. mentioned participant(s) on the reason thereof. shall not be accepted for commission consideration and shall be declined. 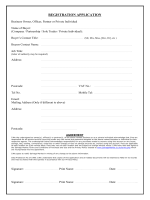 The above date and terms of the tender are preliminary and subject to change.